I'm so excited to be at the Design Bloggers Conference in Atlanta, Georgia. The weather may be cold and snowy outside, but the weather isn't getting us down. 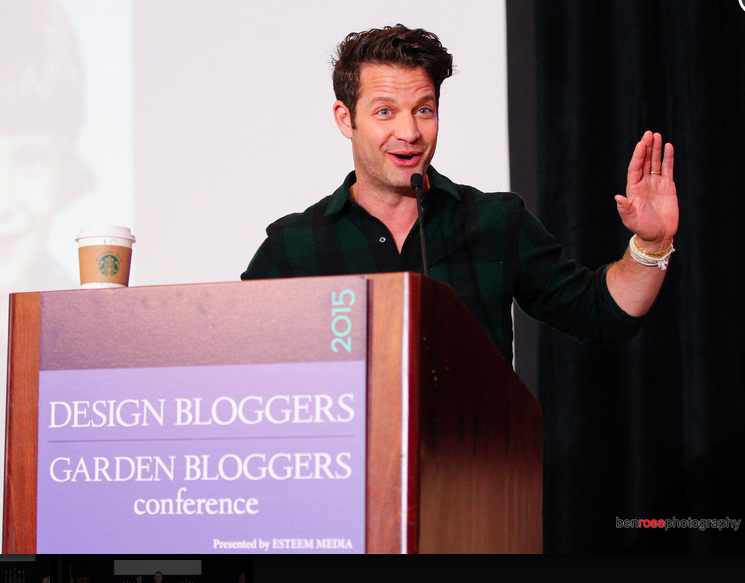 We kicked off the event with the Nate Berkus! Nate has an innate ability to make everyone feel like he is speaking directly to them. He brings a calm, common sense approach to design. It's back to the kitchen update at the show house sponsored by Traditional Home Magazine and High Point Junior League. This week I worked on the color palette for the room. I had a vision for the space the first day I toured the house, but I kept questioning whether I wanted to go with another idea. It's funny how that happens. I feel like houses have souls like people. When I enter a house, I look for clues to help me decide the design direction I will choose. This house felt very masculine to me. I am not sure if it was because I knew the last person who lived in the home was a single man with his seven dogs, but it felt masculine. I kept playing with various color palettes but kept going back to my original thoughts. Here are a couple of fabrics and wallpapers I considered. Today is a sad day for Carolina Fans. I awoke to the news that Dean Smith, thirty-six season coach of the University of North Carolina at Chapel Hill had died. Dean Smith was an icon in college basketball. He was the "gold standard" when it comes to leadership in sports. Smith coached the Tar Heels from 1961 to 1997, going 879-254 and retiring as the winningest coach in college basketball history. My family rooted for the opposing NC State Wolfpack, but for some reason my loyalty was drawn to the Heels. I have always been a UNC Carolina Fan, and most of that was due to Dean Smith. I was thrilled when I met my husband and learned he was a graduate of UNC. Finally, I had someone who would share my love of Carolina Basketball. I remember watching Dean Smith as a child and thinking he possessed magical powers. I later learned his magical powers consisted of motivating his players through respect. His players loved and respected him. The mutual admiration between the two was ever evident on the court and off. In the world of sports where winning is so revered, Dean Smith was more concerned about growing men. He made players who left early for the NBA, promise to return to finish their educations. His players never heard him swear which speaks of the character he exhibited to his players. "If we put more emphasis on rewarding coaches and players for playing well, rather than winning we would be better off." Dean Smith never wanted attention. "It was all about the players, not himself." said Jerry Stackhouse when interviewed this morning. 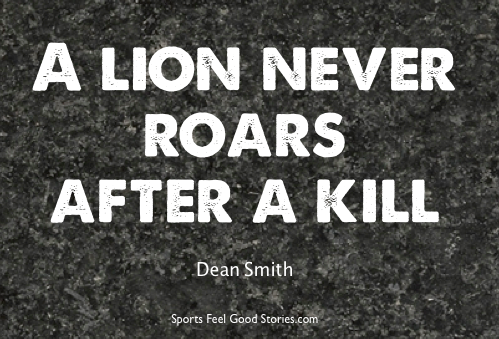 Here are a few of my favorite quotes from Dean Smith. "He set the standard for loyalty and concern for every one of his players, not just the games won or lost." 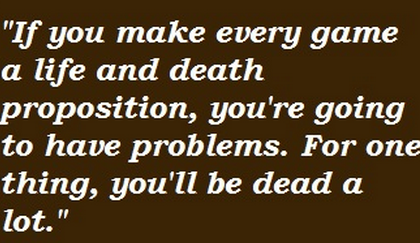 As I sit here this morning remember the man, the coach, I remember another "Dean Smith quote" that has stuck with me. Wouldn't life be better if we followed that quote? 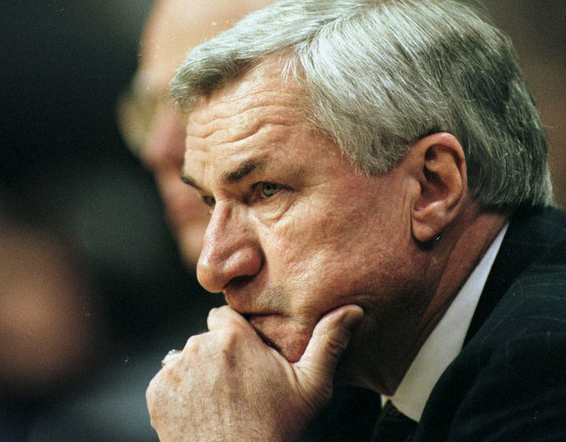 Dean Smith taught his players the game of basketball, but more than sports, he taught them the game of life. I venture a guess that he taught many of us how to be better people. He was a man with class. Dean Smith is one of the greatest coach of all times. I have a treat for you today!!! Have you heard about the "Style It" Challenge? 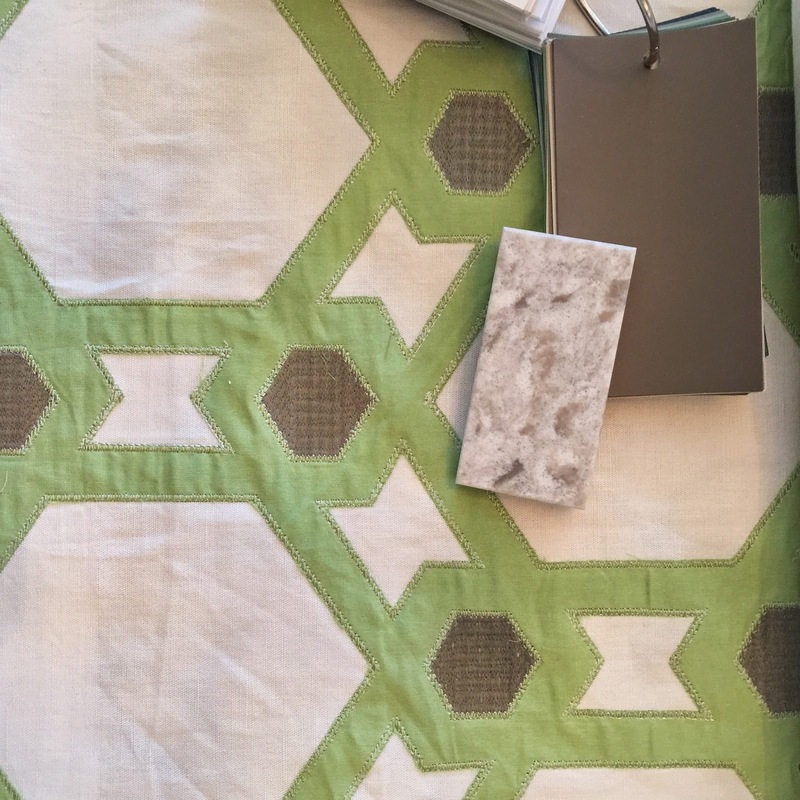 One of my favorite resources, Taylor Burke Home, teamed up with another favorite resource, Cotton and Quill, then partnered with One Kings Lane to bring us the "Style It" Challenge. 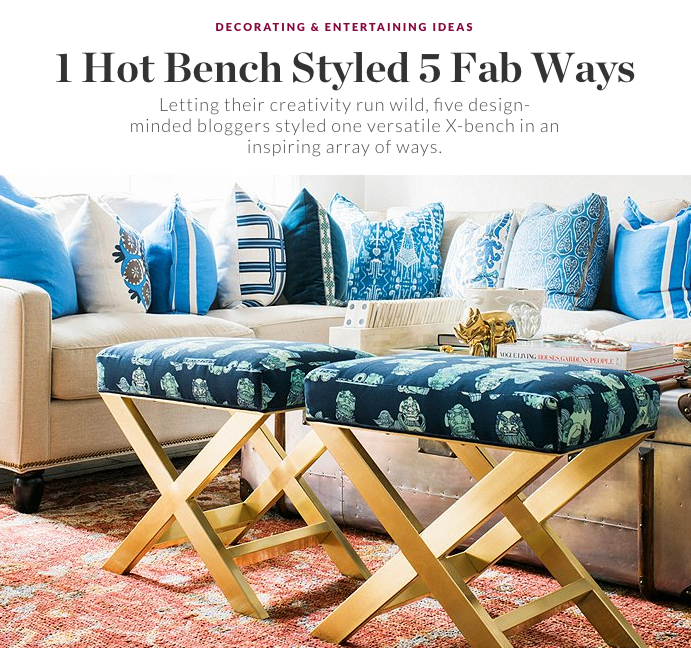 They invited five design bloggers to use one of Taylor Burke's gorgeous brass based X-benches to design a room of their choice. My friend and fellow designer, Holly Hollingsworth Phillips of The English Room, used moss green x -benches in her mountain house, Pixie Springs Cottage. 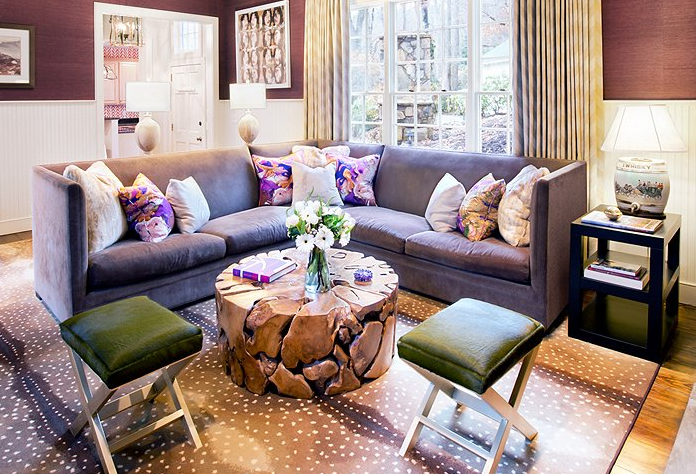 I love the moss green Taylor-Burke x-bench and Cotton and Quill Purple Orchid Fabric on the pillows! Stunning room! The Ace Of Space created this beautiful bathroom! all! It's a treat to read while sipping coffee on a Saturday Morning! What to see all the pieces from Taylor Burke Home available on One Kings Lane Today? Click here! 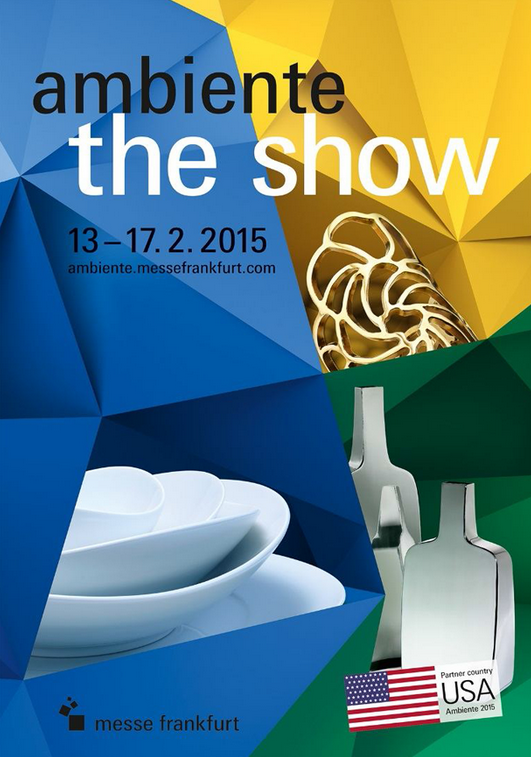 Ambiente Blogtour Frankfurt Here I Come!!! for Modenus Blog Tour Ambiente! I cannot wait! featuring a range of international consumer goods. famous US mailboxes for additional accents. I cannot wait to see Scott's exhibit. to checking out at the show. Yesterday, one of my designer pals asked me to give her three reasons I attend High Point Market twice a year. 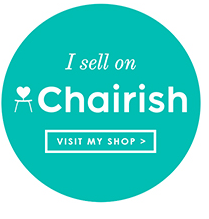 If you are a regular reader of my blog, you know that I am a huge proponent of attending market. As a designer, if you don't attend High Point Market, you miss out on an opportunity that can provide experiences to enrich your business. 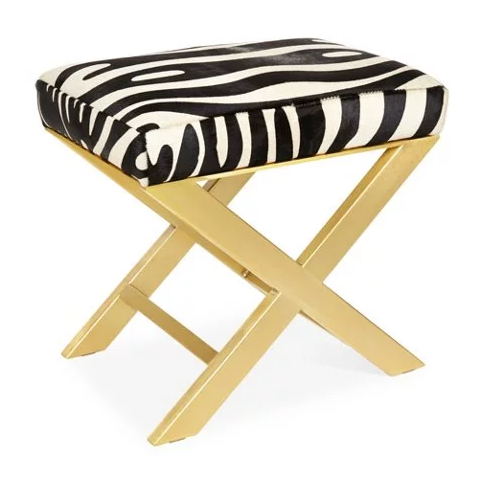 The first time I went to High Point Market was in the seventies when I was a college student. I only went once with my interior design class then, but once I opened my practice in 1998, I have attended the market annually. Things have changed a great deal since those early days in High Point. I wouldn't think of missing High Point Market. I have a home court advantage I know but even if I lived a plane flight away, I would be in High Point twice a year for the market. It is imperative to a designer's business. 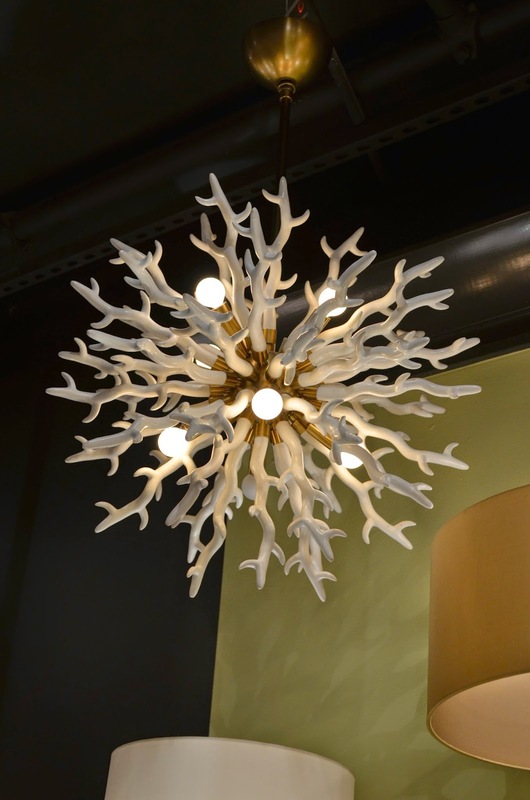 If you are a designer and asking yourself why I think it is so important, I'll share with you the top five reasons I consider High Point Market a "must attend" event for designers. Have you heard the exciting news that Traditional Home magazine is partnering with the Junior League Of High Point NC to produce a show house? 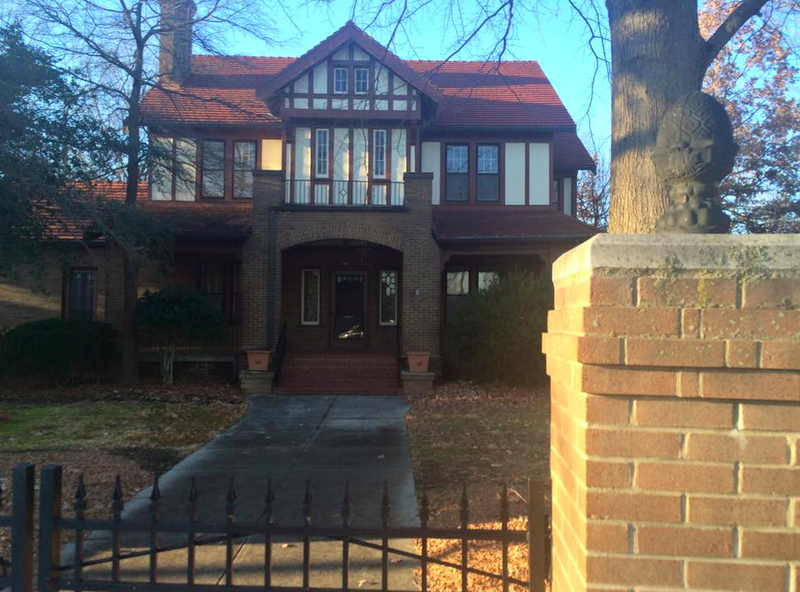 The house will open on April 17th, in conjunction with the High Point International Market. Originally built in 1912, by R.B. Terry Sr., the house is an impressive structure with five bedrooms and three bathrooms. I love to travel and experience other cultures. I have been lucky over the past few years to travel through my work. 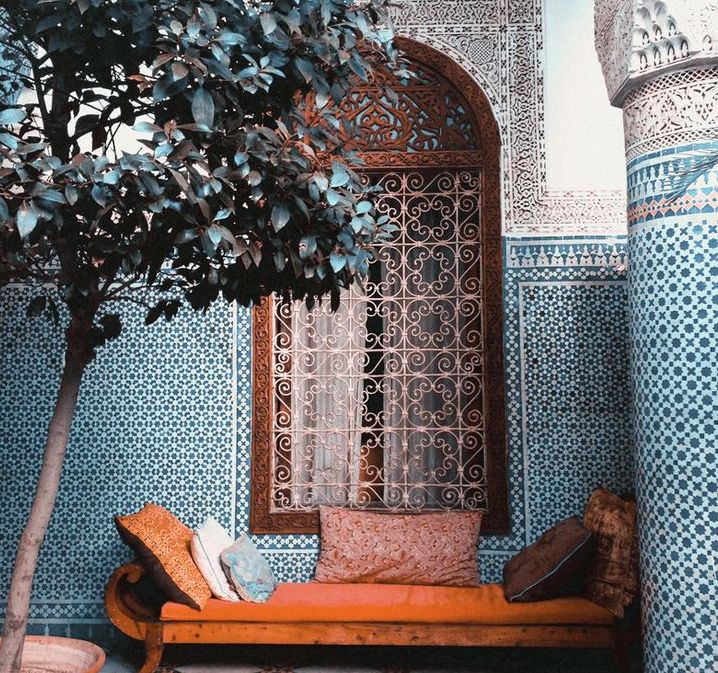 One of places high on my bucket list to visit is Morocco. 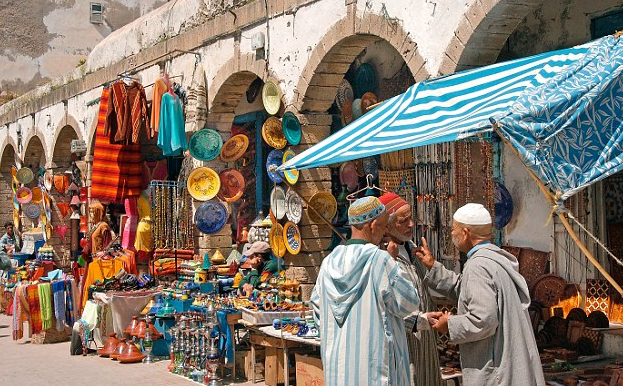 I love the thought of walking the streets of Morocco and perusing the sidewalk markets full of colorful clothing and textiles. 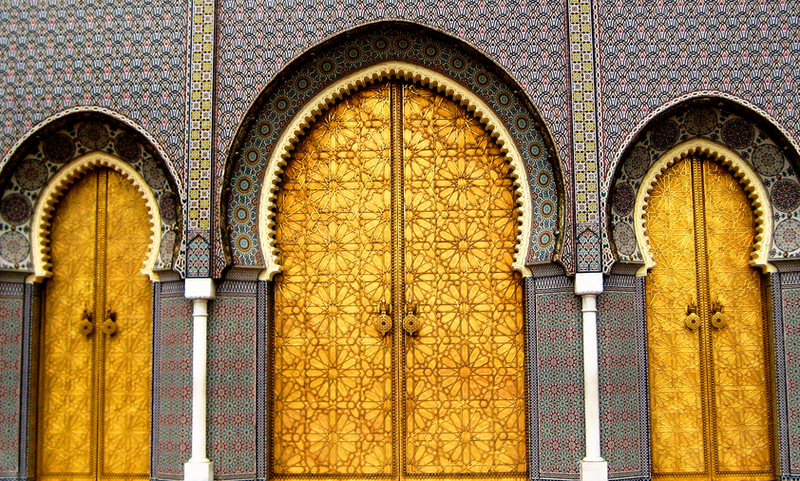 I have always found inspiration in Moroccan tiles, doors, and architecture. I dream of seeing all this beauty in person one day. Unfortunately, a trip to Morocco isn't currently on my calendar. Luckily, Mr. Steam has introduced a new product line that can bring a little taste of Morocco to me. I love Mr. Steam products and dream of owning one of their luxious showers in my home, but for now, I'll settle for their fabulous new product line, Tala. 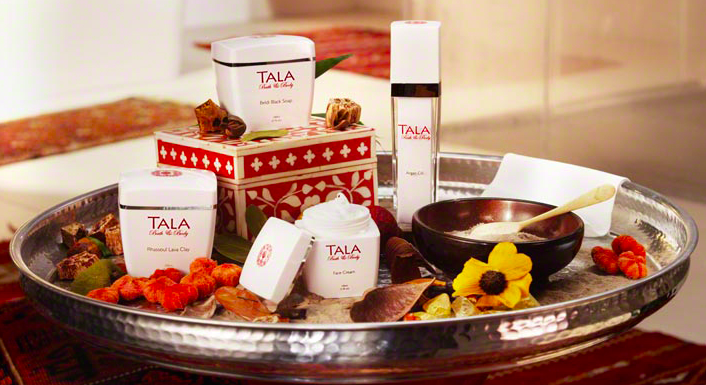 Tala products are derived from the age-old Hamam ritual. Have you heard of Tala Bath and Body Products?